I have always aspired to an exalted vision of the "strong, silent type." You know the character: soft-spoken yet profound, mild but still commanding reverence, polished. If I were true to that vision, I would discipline my children gently, yet firmly and with complete consistency. Better yet, I would set such a sterling example and inspire such devotion that they would rarely feel the need to whine or misbehave. I would have no occasion to cringe at the memory of long ago dating mishaps, never having fallen into the cliche of a rebound relationship or a regretted kiss. Memory would find no emails sent or words spoken in the heat of frustration with inadequate information. I would care less about politics and more about anonymously doing good. And at my funeral, in some distant future, my children would brag about how their mother never raised her voice or engaged in creative profanity, how she never left a project unfinished. In short, they would paint a picture of the perfect lady, and everyone would pause to wipe a tear and sigh at the memory. Sadly, I will never reach the lofty heights of that perfect woman perched rather uncomfortably--but with such grace--on her pedestal. I will continue to blurt out rough-cut sentiments, only to immediately wish the words back safely in my head. I will periodically set off on grand quests, turning around in short order once reality sets in. I will care too much or not enough. I will respond too quickly and too passionately to the opinions of total strangers. Back in my college days, a friend said something to the effect that anything worth it was bound to get a little messy along the way. In the midst of our often muddled love lives and the fallout of all the cumbersome life decisions that faced us as young adults, we clung to that philosophy. With all the messiness in our lives, it was comforting to envision grandeur on the horizon. Recently, while reading E.M. Forster's Howard's End, I discovered the Schlegel family. Admittedly, this novel fell rather lower on my favorites list than I expected. Still, the inner life of the characters left me with much to ponder. Margaret Schlegel, speaks of "proportion," a notion that captures some of the sense of balance and grace that I envision in that ideal woman on the pedestal. While acknowledging the worthy goal of living a perfectly balanced life, Margaret cautions, "Don't begin with proportion. Only prigs do that. ... though proportion is the final secret, to espouse it at the outset is to ensure sterility." I try to stay on the fringe of the political scene, having come to the realization that my active participation in the process only leads me to frustration and belligerence. However, I follow the elections enough to notice a tendency toward sterility. We criticize one candidate for her clothes, another for his morals, another for speaking off script. Candidates for high office, it seems, need to burst onto the scene with proportion well in hand or suffer defeat. Years ago, a young lawyer ran for president. He was tall, gaunt, plagued with debilitating depression, occasionally suicidal. In today's media scene, Abraham Lincoln's political liabilities would likely push him out of the running in short order. Yet, according to Joshua Wolf Shenk, in the article Lincoln's Great Depression, "With Lincoln we have a man whose depression spurred him, painfully, to examine the core of his soul; whose hard work to stay alive helped him develop crucial skills and capacities, even as his depression lingered hauntingly; and whose inimitable character took great strength from the piercing insights of depression, the creative responses to it, and a spirit of humble determination forged over decades of deep suffering and earnest longing." 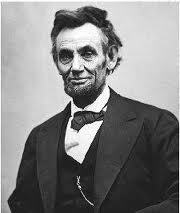 Like many of us, Lincoln lived an untidy life. The national chaos in which he lived formed a backdrop for the inner debris of a lack of formal education and a profound melancholy. Lincoln's constant struggle to achieve balance formed his character in critical ways, giving him the skills he needed to lead the nation at a pivotal moment. Proportion without struggle would have left him handicapped. I hold on to that goal of balance, or proportion, and I periodically achieve it for a time. It gives shape to my wanderings and invites beauty and peace. In turn, the wanderings, with all of their occasional messiness, lend dynamic tension to the plateaus of balance. Lacking the wanderings, we would have tidiness without substance, order without elegance. My goodness, I love your writing. I forget how eloquent you are until I am pulled back to your blog and am reminded once again. I loved the honesty in the first paragraphs - your ideas and hopes are so similar to my thoughts I thought you'd been in my head! Loved the truths about Lincoln to round it out. I spent such a long time thinking as I read this piece that my computer kept going to screen saver mode! Thank you for such a thought provoking essay. And I love the graphic you have along side it.